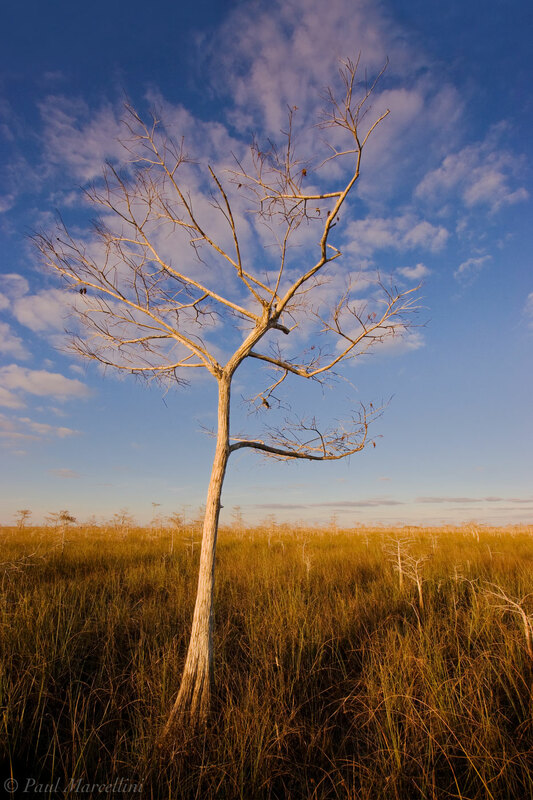 A clouds drifts perfectly behind a leafless Bald Cypress(Taxodium distichum) to give the appearance of leaves in the soft golden light of the afternoon. . Photo © copyright by Paul Marcellini.